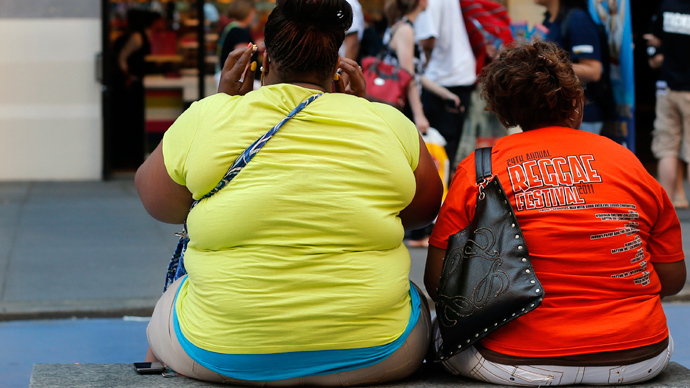 Scientists in the US, where the number of overweight people is soaring, say that obesity does not automatically lead to metabolic changes in the body that can cause health problems, like diabetes and heart ailments. Researchers from Washington University School of Medicine in St. Louis asked 20 obese men and women to pack on an additional 15 pounds (7 kilograms) over several months to analyze how the weight gain affected their body’s metabolic functions. “This was not easy to do. It is just as difficult to get people to gain weight as it is to get them to lose weight,” said chief author Elisa Fabbrini, assistant professor of medicine. The results of the study, published in the Jan. 2 edition of the Journal of Clinical Investigation, challenged the idea that being obese automatically translates into poor health. Participants of the study who did not suffer disorders normally connected with obesity - such as high cholesterol, high blood pressure and excess liver fat — did not demonstrate these ailments even after the additional weight gain. But for those participants who had health problems before the start of the study, these individuals suffered worsening health after packing on extra pounds. maybe if they made healthy food cheaper, our world would see a decrease in obesity. The researchers said the results will allow them to better distinguish obese people who will be more at risk to ill health from those who may enjoy better prospects of staying healthy. "This research demonstrates that some obese people are protected from the adverse metabolic effects of moderate weight gain, whereas others are predisposed to develop these problems," Samuel Klein, MD, director of Washington University's Center for Human Nutrition, told the American Association for the Advancement of Science. "This observation is important clinically because about 25 percent of obese people do not have metabolic complications," he said. "Our data shows that these people remain metabolically normal even after they gain additional weight." Klein said all of the participants of the study were enrolled in a weight-loss program to help them shed the extra pounds they had gained. The scientists concluded that the results they found are similar to those found in the general population: About 25 percent of obese people do not seem to have metabolic dysfunctions that can cause heart ailments, diabetes and strokes. The volunteers were featured on HBO’s documentary “Weight of the Nation” while the research was being conducted.